Microblading 7 Pin Blade – this blade is used to create the finest, natural-looking eyebrow hairs. Due to its size, this blade is perfect for drawing curvy hairs and passing twice over same hair accurately. Often technicians use this blade to create natural looking thinner and shorter hairs on top of the brow and at its end. When used with microblading pen, it allows to secure the attachment of the blade and provides full control of the tool. 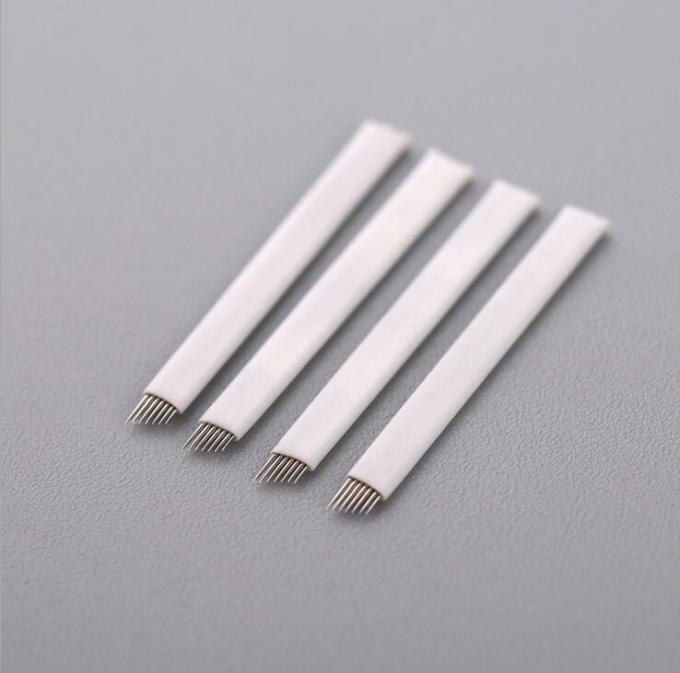 This blade is 3 times thinner than regular permanent makeup needles, therefore procedure creates less discomfort. This blade consists of 7 super- fine, single needles arranged closely in 1 row. 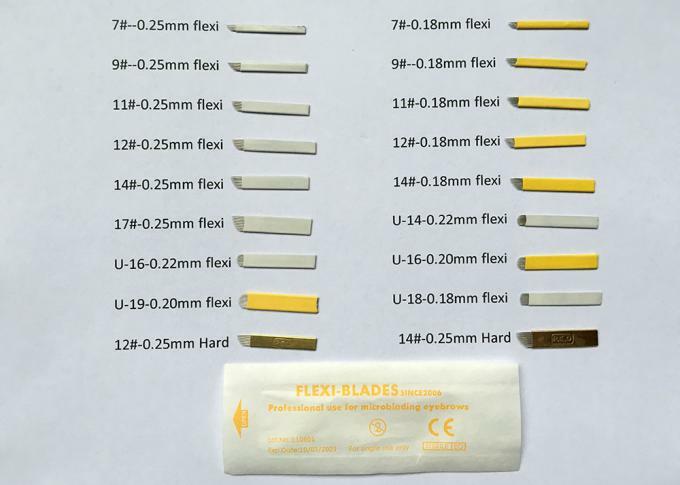 Microblading 7 Pin blade – is an essential size in eyebrow embroidery technique and mixing it with with other blades helps dramatically to create “real eyebrow effect”. One-time use, disposable blade. Sterile packaged.